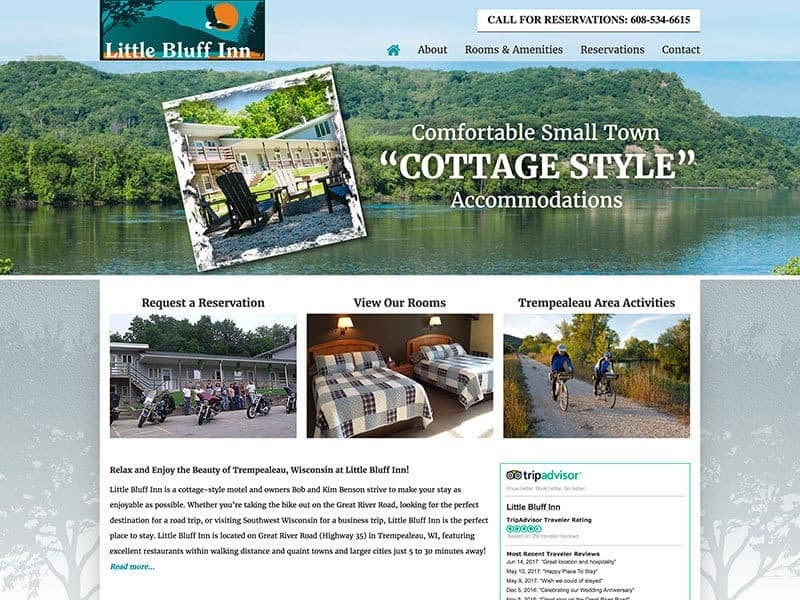 Little Bluff Inn located in the scenic village of Trempealeau, Wisconsin is within walking distance to both the Mississippi Riverfront and downtown Trempealeau. This “cottage style” lodging facility offers both comfort and affordability. Open year round its small town charm offers a variety of different outdoor activities to enjoy, from biking, bird watching, fishing, boating and more. Your are sure to find something to enjoy during your stay! Rooms do fill up quickly especially during Spring, Summer, and Fall months so be sure to book in advanced for your next trip!